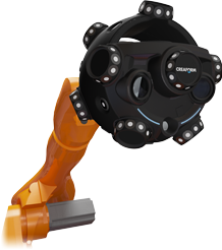 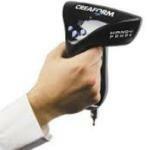 Creaform’s MetraSCAN-R optical CMM 3D scanning systems are fast, precise, robot-mounted scanning solutions specifically designed for automated inspection of parts on shop floors and production lines. 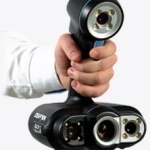 When coupled with industrial robots, the MetraSCAN-R system improves speed and consistency of on-line inspection and quality control processes. 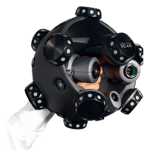 It works with the C-Track dual-camera sensor and can be networked with 2 to 4 C-Track 780 to benefit from the C-Link functionality and also to increase system versatility. 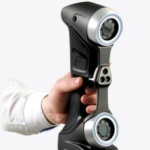 Part of the MetraSCAN 3D series, the MetraSCAN-R optical CMM 3D scanners ensure optimal dimensional measurement precision, resulting in improved productivity and product quality. 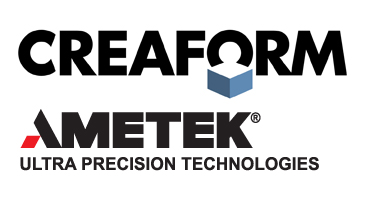 They are available in two models, such as MetraSCAN 70-R and MetraSCAN 210-R, and can be incorporated into factory automation projects.